So TNA is heading back to Universal Studios. That made me pretty angry last week. There’s nothing TNA fans can do to stop it now, except, maybe, spend some money. I won’t hold my breath. When the non-paying masses return to Universal this month, they’re going to see something they probably didn’t count on. No, not a six-sided ring. Not Hulk Hogan. And if I was heading to the show, I wouldn’t count on reasonable booking. No, instead, fans will find the metaphorical “For Sale” sign on TNA’s front lawn. What’s that, you say? The folks that own a company that runs free TV tapings, produced pay-per-views that no one pays to view, and has a house show tour that draws less than local indies… want out? You know what would be even more surprising? If they found a buyer. TNA is damaged goods. Writing a seven or eight-figure check to acquire it is an incredibly risky gamble. Spending millions on a venture that’s proven to be little more than a financial burden would certainly help the Carters. But it would probably foreshadow your own personal bankruptcy filings. So who’s got a lot of money burning a hole in their pockets, but lacks a voice of reason? Everyone seems to expect Uncle Eric to find some financial backers and make a bid for TNA. He won’t. Eric had one good idea (that he stole from Japan) 15 years ago. That stolen idea popped ratings and buyrates for a year. He’s been riding that Black & White line on his résumé ever since, and will continue to do so, 4-Lyfe. What he — and his fans/supporters — neglect to mention, is that his lack of business acumen and fresh ideas helped kill WCW, and more importantly, that he has offered TNA NOTHING over the last few years. All he did was take a struggling-but-growing business and kick the legs out from beneath it. He turned the little-engine-that-could into a freight train rolling downhill, without a conductor. Jeff Jarrett’s name is suddenly relevant again, and not just because of #DoubleJWeek. While he’s been assuming more responsibility in the post-Hogan/Bischoff era, I wouldn’t expect him to ever again run the show. He and his father, Jerry, lost a ton of money on TNA. It’s the reason why they sold the company to their marketing director’s daddy in the first place. If this was 5 years ago, and the company was still on its way up, MAYBE. With the right backers. Now? Jeff would be better off launching another no-name company, taping at Universal, and selling the footage to Spike the day after TNA dies. Neither will happen. But don’t be surprised if Doulbe-J resurfaces on wrestling’s favorite C-show. 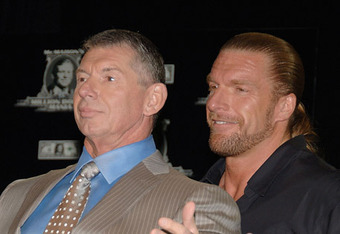 Vince McMahon and WWE have no interest in TNA. NONE. You don’t believe me? When’s the last time WWE snatched up a TNA guy? Xavier Woods? Triple H has reportedly said TNA has nothing WWE wants. I believe it. They’re the company that signs the guys WWE doesn’t want anymore, and the indy guys WWE never wanted in the first place. Sorry, Austin Aries fans. The ONLY way WWE would ever buy TNA would be for a “best of” DVD for Sting. I’m sure they’d find a match or two. Kurt Angle? Don’t kid yourself. More people remember his feud with Steve Austin than have seen ANYTHING he’s done in TNA. The only real answer is SpikeTV. The cable network has invested a ton of money into TNA over the years. It helped supplement the paychecks of some of the biggest stars (Angle, Sting, Hogan) in an effort to boost viewership, and ad revenue. After all, the point IS to make money, right? 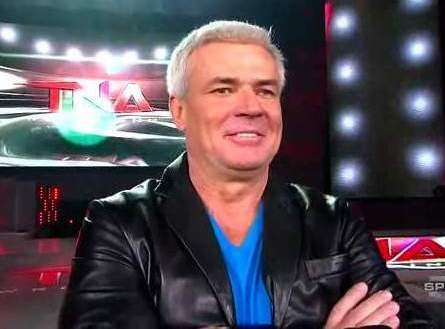 If Spike bought TNA, it could realistically fire TNA’s entire production staff, and bring almost everything in-house. Cut costs, make money. That’s the point, right? You know what I’d prefer, though? 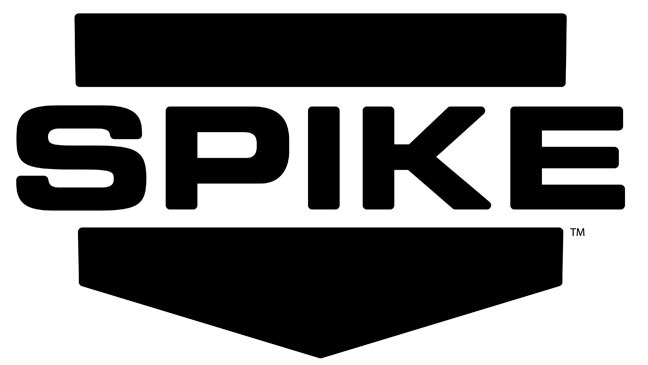 A three-way deal between TNA, SpikeTV…and Japan. Either New Japan, Dragon Gate, or Muta’s post-All Japan startup. Buy TNA, and make sure the SpikeTV contract is part of the deal. Use TNA as both a feeder-system for your Japanese branch, AND a way for younger Japanese stars to gain experience in the US. Use the biggest stars from both branches on PPVs. Sadly, I think TNA’s more likely to disappear with a whimper than a deal like this. So what’s next for TNA? Most likely, a much of random fix-gaps that will either elate or frustrate the marks, but ultimately, don’t matter. The ring may grow some extra sides. Some flavor-of-the-week indy star will probably get a Gut Check. AJ Styles will return for a champion vs champion match. TNA will pretend that all is fine in Dixieland. But you? You’ll know better. Enjoy it while it lasts. It may not be long.